America is and always has been the most attractive market for startups. Even if the project isn’t geared toward the U.S. market, having a company in Delaware and a mailbox in San Francisco gives karma a little nudge and significantly improves the chances of attracting the next round. 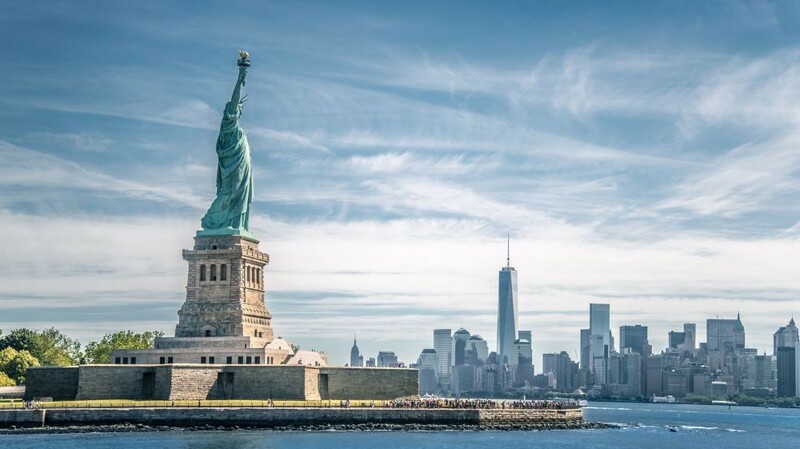 This article explores the legal aspects of entering the American market: from the corporate entity form and opening a bank account to immigration and personal tax considerations of founders. If you think we’ve missed something, you can send us an email. You can sometimes get by without a legal entity, but if you just have to have one, the choice boils down to a limited liability company (LLC) or corporation (C-corp). How to choose between them? Here’s the rule. If you’re planning to attract external investments, including by going through an accelerator program, you’re going to need a C-corp. Professional investors won’t invest in an LLC due to the nuances of the U.S. tax system. LLCs are subject to so-called “pass-through taxation”: the company itself isn’t the subject of taxation, but taxes on the company’s income are paid independently by its owners. If an investor is acquiring a stake in an LLC, he can be required to pay taxes on any increase in the value of his stake — even if he hasn’t received dividends from the company. Corporations, on the other hand, pay tax on their profit independently, while shareholders only pay tax on their dividends or the income derived from the sale of their shares. If you don’t need investments, or you’re simply setting up an operating company, an LLC will do just fine. For example, the huge mass-email service MailChimp, which never attracted outside investments, exists in the form of an LLC. Both corporate forms are available in every state. However, most companies are registered in Delaware due to the state’s favorable tax treatment, relative anonymity and well-developed corporate law. “For our business (pizza delivery), both New York and California would have meant crib death. Their markets are just too competitive. We opened in Oxford, Mississippi. It’s a sleepy college town in one of the country’s poorest states. Having your corporation registered in Delaware doesn’t restrict you in terms of doing business in other states. At the same time, if the company has a physical presence (office, staff) or conducts significant commercial operations (sales) in another state, you’ll most likely need to get a qualification to do business outside the state of registration. provides a standard set of internal corporate documents (articles of incorporation, minutes of board of directors resolutions). Strictly speaking, founders aren’t required to hire an attorney to incorporate the company, since the attorneys themselves retain agents as contractors. Nevertheless, a corporate attorney could be handy in terms of avoiding the mistakes that can come with founding a company. For example, for the future investor, it would be critically important to see that documents evidencing the acquisition of the company’s shares by its founders had been properly drawn up, and to ensure that relations between shareholders and employees have been intelligently established, with the transfer of IP rights clearly set up in favor of the company. Delaware corporate law has an archaic feature: the certificate of incorporation must indicate the number of the company’s authorized shares. This number represents the maximum number of shares that the corporation is authorized to issue. Founders often distribute among themselves either all of these shares at once (thereby leaving no shares for future investors) or even more than the actual number of authorized shares. Any such distribution is invalid. What the founders should be looking at instead is the company’s issued shares, which alone determine the relative ownership of the company by its shareholders. So if the company has 10 million authorized shares, but only one shareholder, who has 6 million shares, that shareholder is the 100% owner of the company. Keeping this simple principle in mind will go a long way to save founders much trouble down the line. These are the next steps following the company’s incorporation: obtaining a tax number, opening a bank account and sometimes getting insurance. 1. Tax number. A tax number (Employer Identification Number or EIN) for a company in the USA can be easily obtained online in a matter of just 10 minutes, provided one of the company’s employees has a Social Security Number. If no SSN is available, the tax number will have to be obtained by fax, mail or over the phone. The process is described in detail on the IRS website. 2. Bank account. Once you’ve received your tax number, you can open an account with an American bank. For that you’ll need to gather all of the required documents about the company and its key shareholders. Most banks require your physical presence, but there are also some that allow opening an account remotely, such as Silicon Valley Bank. Another option would be to appoint an acquaintance living in the USA as the company secretary so he can represent your startup at the bank as a company employee. 3. Insurance. For risk-mitigation purposes, founders should think about getting business insurance (General Commercial Liability Insurance). Such a policy can protect you against accidents, lawsuits and much more unpleasantness. Somewhere right after company registration but before launching the financing search, founders start thinking about participating in acceleration programs, which are abundant in the U.S. The journey of many startups in the USA begins with taking training programs at special accelerators. That said, the accelerators themselves can also serve as the first investors, providing “uplift” for a launch in the U.S.
Aside from the well-known Y Combinator and 500 Startups, the USA also has numerous accelerator programs that could be intended for projects in certain industries or even for projects originating from certain countries. Starta Accelerator, for example, is probably the only accelerator in the States that’s geared toward projects from Russia and Eastern Europe, and whose educational program is based in New York. Startups need capital for growth and development. There are a number of instruments for attracting financing, among which the most prevalent are the issuance of shares (equity) and borrowing (debt). There are also hybrid methods such as the SAFE (Simple Agreement for Future Equity) and KISS (Keep It Simple Security). They’re being used with increasing frequency by American accelerators. Emerging forms of financing also include the issuance of tokens. The issuance of shares is the main form of attracting financing for startups in series A or higher (seed stages also often feature the use of convertible loans). Shares can entitle their holders to various rights. Common shares give all shareholders identical rights pursuant to corporate law: one share confers one vote and a proportional percentage of dividends. Preferred shares can give their holders rights and “privileges” above and beyond those conferred by common shares. Here, room to maneuver is limited only by the imagination of the corporation’s investors and board of directors. Pre/Post-Money Valuation — company valuation at which the investor acquires the shares. Liquidation Preferences — additional privileges for investors upon the occurrence of certain pre-determined events. Anti-Dilution Protection — shields the investor from dilution in subsequent rounds, where the company’s valuation is lower than the one at which the investor joined. Protective Provisions — set of conditions that protect the investor and, consequently, restrict founders. These include the investor’s veto power to block certain transactions. Tag-Along, Drag-Along, Right of First Refusal (ROFR) — procedure for divestment of the company’s shares. Founder Vesting — conditions covering the vesting of founders’ shares. Preemptive Rights, Pay to Play — rights and obligations of investors in future financing rounds. Information Rights — category of investor rights authorizing access to certain company information or participation in board meetings. Founders should pay special attention to the conditions of issuing shares. Although you can found a corporation and conclude a convertible loan agreement on your own, it would still be advisable to retain a qualified attorney. Large investors still have leverage, although professional investors have started to become much friendlier toward founders and try to offer fair terms. For example, reports recently surfaced of the aggressive financing terms being offered by SoftBank, a goliath among VC investors. “During fundraising you have to be a marathon runner. Investments can come from anywhere. I know examples of Russian founders who found money just by winding up at the right party and drinking tequila with the right people. In the Valley you have to mingle: get to know different startup founders, ask how they got their investments, request an intro to friendly funds. Under the terms of a convertible loan (note), the investor gives the company a loan that can subsequently be converted into company shares or must be repaid with interest. As a rule, the decision rests with the lender and may be predicated on a whole range of events. It’s also worth paying attention to qualified financing, maturity date and liquidation preferences. These instruments represent the next step in the evolution of convertible loans. The SAFE agreement is used at Y Combinator. Another famous accelerator, 500 Startups, uses the KISS agreement. The main feature of the SAFE, and what distinguishes it from a convertible loan, is that the company doesn’t have to repay the extended funds if the next round of financing doesn’t come through. The logic is simple: if the company was unable to attract financing for the next round, then it would be unlikely to be able to repay the loan. There are a few different versions of the SAFE — it would be easiest to look over their terms by referring to the primary source, where you can also download the required templates. According to the terms of the KISS, the investor is also prevented from demanding repayment of the loan amount, but can still insist on the forced conversion of that same amount into a new class of shares upon the occurrence of the maturity date (18 months). The KISS also gives investors more rights in terms of accessing financial information concerning the startup’s activities. Discussing the sale of tokens as a form of financing is rather difficult, since all tokens are different and the phenomenon itself prompts mixed feelings on the part of experts. But it’s not an instrument that can be ignored either: over a thousand projects issued their own tokens in 2016–2017 for the purposes of attracting financing. The reality, however, is that few of them will be able to survive the so-called crypto winter. Only time will tell whether STOs will end up replacing traditional stock issuances. All investors would agree that the “star quality” of the team is the lynchpin to accurately evaluating the project’s prospects. In order to recruit good talent, companies might promise smoothies and a dynamic atmosphere, or they could offer stock options or restricted stock units (RSU). In the USA, employment law is very flexible. Workers are classified as “at-will employees” — staff that the employer can fire at any time, for any reason (other than illegal discrimination and similar unlawful grounds). American federal law is virtually devoid of compulsory benefits for employees like minimum vacation days and maternity (paternity) leave, but such benefits can be mandated under the law of specific states. The market has established a practice where key company officers work under an employment agreement that is concluded for a certain period and provides the employee with certain guarantees. While not legally required, it should be kept in mind when recruiting experienced employees. A common condition found in employment agreements is the non-compete clause, which prohibits competition for the duration of employment at the company and for a few years thereafter. Startups should be cautious about applying this clause, since in the event of a dispute, a court could void any restrictions it finds unjustifiably broad in terms of time and place. An option gives an employee the right to acquire company shares in the future at a certain price. The price is fixed at the moment the option is issued, and as a rule must correspond to fair market value (FMV). An outside expert may have to be retained for the purposes of determining FMV. There are two kinds of options: Incentive Stock Options (ISO) and Non-Qualified Stock Options (NSO). ISOs can only be issued to employees and are subject to more favorable taxation rules. NSOs can be issued to anyone, including outside advisors and consultants. An RSU is the company’s obligation to issue shares or the equivalent amount of money to an employee in the future. RSU sales are not tied to market price, so there’s no need to determine FMV. For this reason, RSUs can be more attractive for employees. Startups usually incentivize their key employees with options, while larger companies tend to offer RSUs. The issuance of options and RSUs is always predicated on vesting — shares become the employee’s property not immediately but upon the occurrence of certain conditions. This could involve either the simple passage of time or the achievement of certain indicators. Common practice entails “4-year vesting with 1-year cliff” — the employee receives 25% of the promised number of shares every year for a period of four years. Virtually all VC investors require the existence of an option pool. To create an option pool, it’s not enough to include an “option pool” row in the cap table and enter the corresponding number. You have to develop an option plan describing the requirements for employees’ acquisition of options, the size of the pool, vesting structure and other aspects. The plan must be approved by the board of directors and the shareholders. As a rule, startups earmark roughly 20% of their total shares for the option pool. As an example of an employee-incentive plan, you can review the documents of Snap, Inc., that were prepared in advance of the Snapchat IPO in early 2017. — ‘Bad’ cap table — everything’s in the hands of a single founder or too much has been given away at an early stage, or there’s something fuzzy and toxic that will get in the way of future fundraising or company development (e.g. private investors unfamiliar with the specifics of the venture business). — There’s no CTO, technical R&D is conducted externally (although that depends on the industry). The issue of intellectual property (IP) is just as important as a baby’s birth certificate. There are three main types of IP: patents, trademarks and copyrights. All of them vest the holder with the exclusive right of independent commercial use. Patents are issued, first and foremost, for inventions that are new, useful and non-obvious, as well as for industrial designs. Obtaining a patent in the USA takes two to three years and costs several thousand dollars, since the services of an attorney are essential. The application is submitted to the U.S. Patent and Trademark Office (USPTO). If the application is approved, the patent-holder gets a usage monopoly: 20 years for inventions and 15 years for industrial designs. Trademarks serve as an indicator of the source of goods or services. Unlike the rest of the world, their registration isn’t required in the U.S., where exclusive rights to a trademark arise as a result of its commercial use. Still, registration confers certain privileges, such as constructive notice to market participants of your ownership of the trademark and additional rights in the event of litigation. You can draw up an application for a simple trademark without an attorney, and the government fees tend to be around $300–700. Before choosing a name for your product, make sure that it’s available for use. You can do this free of charge by searching the USPTO Trademark Database. Copyrights protect works recorded on tangible media and arise immediately on the part of their authors at the time of their creation. For tech startups, the most relevant copyright-protected item is the source code written by their employees. The registration of copyrights isn’t mandatory in the USA, but does confer privileges largely similar to those found under trademark registration. For a startup, it’s important to provide for the transfer of IP rights in favor of the company from all of its contractors and employees: this requires concluding an agreement with them to the effect that rights to all of the IP created in the process of the performance of hired work are transferred to the company. Such a measure could play a key role in a situation where a former employee uses the company’s IP for the purposes of unfair competition. It was precisely this scenario that unfolded in the case of a former Waymo engineer who stole the company’s files in order to create his own startup Otto, subsequently acquired by Uber. As a result of the lawsuit that followed, Uber admitted its fault and agreed to pay Waymo restitution in shares valued at roughly $250 million. You’ve created a product and you’re starting the first sales. At this stage, you have to make sure that you have all of the necessary documents. You should also make certain that you’re not violating the rights of third parties in selling your product. Startups in the 21st century are usually selling software or information services. To formalize the sale of such services and protect yourself from the possible risks, you need a document that establishes the provisions governing the deal — the Terms & Conditions (T&C). If you have an app for iOS or Android, in formulating the T&C you’ll need to consider the rules of the respective platforms: App Store Review Guidelines and Google Play Developer Rules. This is particularly relevant for applications that work with personal data, run quizzes or use tokens. Apple, for example, just recently added cryptocurrency provisions to its rules (Clause 3.1.5(b)). If you’re selling SaaS-products to corporate clients, you’ll need a standard contract. It’s worth recognizing from the start that you won’t always be able to impose your terms on such clients, so the contract should be appropriate. The basic framework can be taken from the Y Combinator template. Find out exactly which license covers the code that you’re using and the specific terms that it imposes. As a starting point, you can read about different kinds of open licenses in open sources. You might be surprised to learn that the USA has no comprehensive law on personal data analogous to Europe’s General Data Protection Regulation (GDPR). Nevertheless, there are individual federal laws and the laws of individual states concerning personal data. The U.S. Electronic Communications Privacy Act prohibits the capture and unauthorized access to private communications, while the common law of the states allows individuals to sue in cases where their reasonable expectation of privacy has been violated. If your client base includes EU citizens, you’re probably governed by the GDPR. In that case, you should familiarize yourself with the main provisions of the GDPR and the various instruments that are available for ensuring compliance with its requirements. This would also be a smart thing to do if you have clients in California, where they recently adopted a law that’s largely similar to the GDPR. It enters into force in 2020 and will apply to companies storing the data of at least 50,000 users. Considering the vastness of California’s economy and population, the new law will likely change the data collection and processing practices of most American internet companies. For citizens of many countries, traveling to the USA requires a visa, and working there always does. Almost all founders initially arrive in the U.S. on a B-1/B-2 visa, which is intended for tourism and business travel. Such a visa is usually issued for a period of 3 years and allows for an uninterrupted stay in the country for up to six months on each trip. Despite the impressive sound of it, most startup founders meet the criteria for getting this type of visa — with the help of some smart immigration lawyers. A О-1 visa grants the beneficiary permission to officially work in the U.S. for three years for the employer (or employers) who sponsored the visa. More on the requirements for obtaining an О-1 visa can be found at this link. In the USA, the best-developed and most comprehensive law is probably in the area of taxation. If you have a tax question, retain a tax attorney or a certified public accountant (CPA). We explore only certain aspects here. Let’s start from the end. The second option is the most opaque, but is encountered frequently. However, it’s best not to go this route, since any investor wants to see a well-defined corporate structure and clear relationships within the group of entities. The procedure for paying personal taxes depends, first and foremost, on the tax status of the individual concerned. If the founder becomes a tax resident of the USA, then his income will be taxed according to U.S. tax law. In most cases, tax residency status depends on the number of days of stay in the country. The U.S. recognizes as tax residents those individuals who have stayed in the country for at least 31 days in the current calendar year and no less than 183 days over the three preceding years. The number of days during which the individual has stayed in the U.S. in the current year and in the two previous years is multiplied by an established coefficient, and there are several other technicalities which you can study in detail on the IRS website. When working in the USA, founders should be attentive to tax-residency issues, since tax rates are significantly higher there than in many other countries. Aside from U.S. tax law, make sure that you follow all of the tax rules of your own country that could influence your status as a shareholder in an American corporation. The first path is not actually that common. Two random examples: Snapchat (didn’t become profitable but still conducted an IPO) and MailChimp (became profitable almost immediately and never attracted outside investments). In the second scenario (asset deal), the startup’s founders usually move to the new, larger company in order to oversee work on the product. In such a case, the founders usually receive certain stock rights once at the new company (in the form of restricted stock units — RSUs), which are tied to the achievement of certain KPIs. Article prepared by Roman Buzko and Evgeny Krasnov — partners at the law firm Buzko & Partners, where they consult startups and investors on Russian and U.S. law.